With so many important conversation happening on Facebook, one may wonder what is to happen if some of these messages get accidently erased? The answer is very simple: chaos. So, to avoid any such mishap, it is important to learn how to save Facebook messages. And some users may even need to learn how to print Facebook messages as the evdience for a case, so just save Facebook messages is not enough, they also need to export Facebook messages to computer and connect the printer. Also, if you have an iPhone photo printer, you can directly print your Facebook messages or photos even taken by the best 360-degree camera. Read More: If your Facebook messages already have been erased, check out how to recover deleted Facebook messages easily. 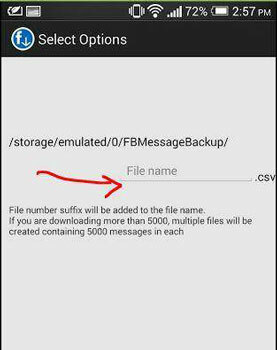 dr.fone - Backup & Restore (iOS) is a powerful software which enable you to preview your Facebook Messenger messages before export. Besides you can use dr.fone to selectively save, export and print Facebook messages easily. One click to save, export and print Facebook messages. 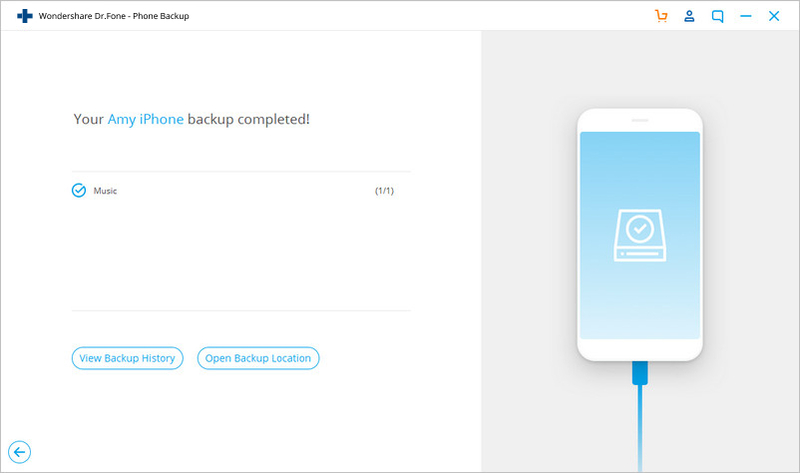 Allow to preview and export any item from the backup to a device. 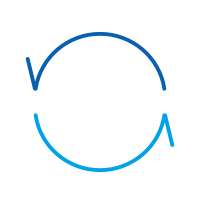 Selectively save and export any data you want. No data loss on devices during the process. Works for all iOS devices, including the latest iOS 12. 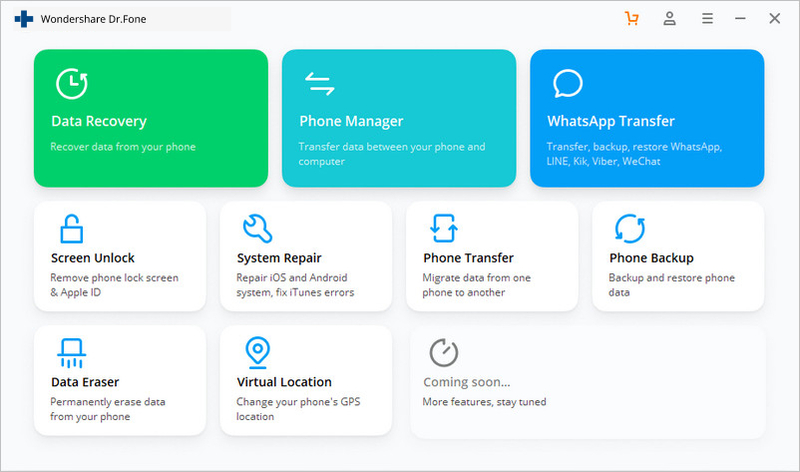 In order to save Facebook messages, launch dr.fone on your computer and connect your iPhone to computer. Then you are supposed to select "Backup & Restore" option from the tool list. 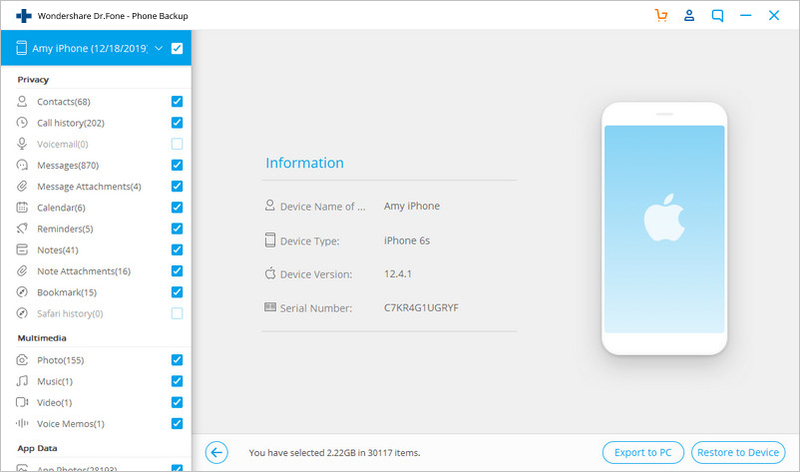 Then dr.fone is detecting your device, click on Backup, you can easily select the type of the files you'd like to save and export. Here you can select "Messages & Message attachments" since we are going to save Facebook conversation and print Facebook conversation later. 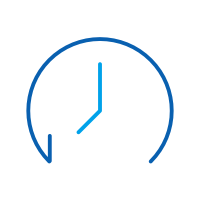 Note: Actually, besides Facebook messages, dr.fone can also help you to backup and export your iPhone call history, Safari Bookmark, Calendar, music, notes, text messages, videos, contacts, photos and many other data. Right now, dr.fone is just backuping your Facebook messages from your iPhone. 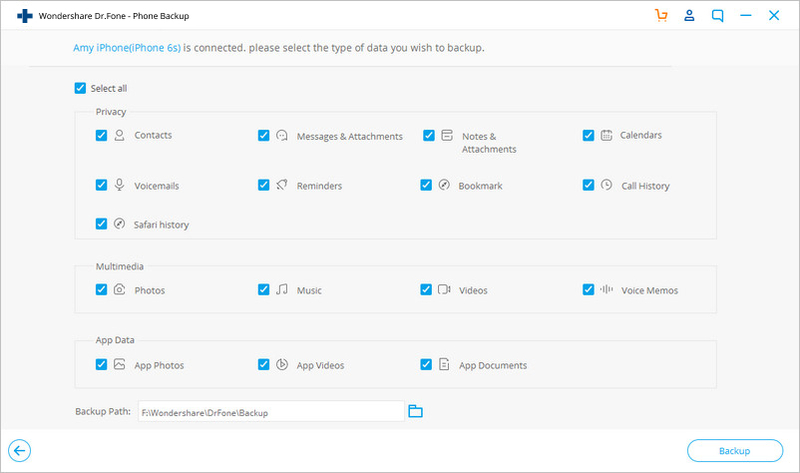 Once the backup is complete, click on View Backup History. Here you can see all backup file history. Select the latest one and click on View. When the backup process finished, you can select to export Facebook messages to your computer. If you'd like to print Facebook messages, you can check the Facebook messages you want and click the "Pinter" icon on the top right of the window to print them directly. 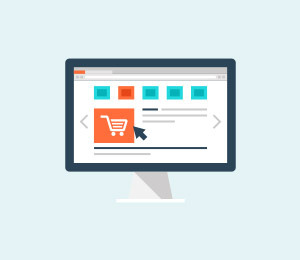 You can finsh the whole process just in some clicks, it is very easy and convenient. What's more, dr.fone allows you to selectively backup, export and print your Facebook messages, it is very flexible and friendly. And the beautiful design is a plus. But you have to download this program on your computer to save, export and print your Facebook messages. In order to export Facebook messages, you are supposed to go to Google Play and download "Messenger Backup for Facebook" on to your Android device. Installation takes few minutes depending on your internet connection. 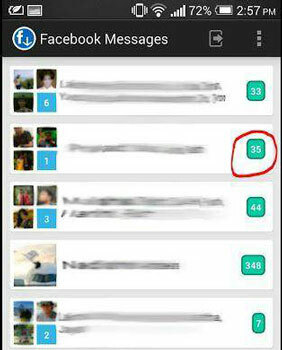 Launch the app on your device and it will show your all Facebook Messenger conversations. 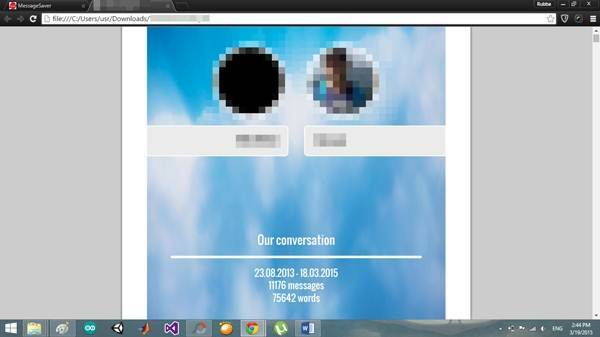 Next, each conversation there is a bubble that shows the number of messages included in that conversation. Choose the conversation you want to export. After tapping on the conversation you want to export, it takes you to a screen that shows the conversation and at the top it shows a bar that help your choose the amount of messages between specific instance. In case you want to export the full conversation, leave the bar, as it is in default state. After that just click next. After clicking next, it will take you to final screen where you will have to name your file. File will be in .CSV format. Also, show the location where file will be saved on the device, so take note of that. 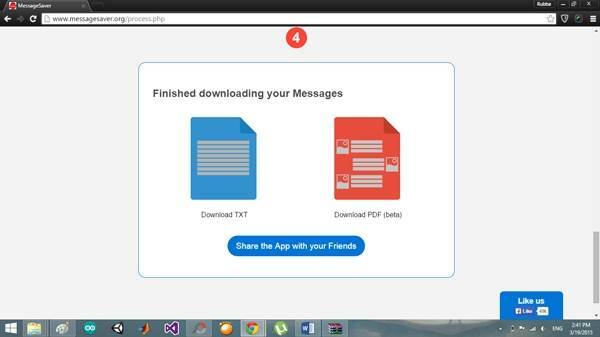 In case you are downloading more than 5000 messages, the file will be exported into multiple files. Now just click Next. The last screen takes you to the Download Screen. Here, the screen shows a complete information of the file you are exporting. Therefore, before you begin exporting just check, if everything is correct and location is also correct. Tap on the Start to begin the exporting. It will sometime depending on the amount of messages needs to be exported. 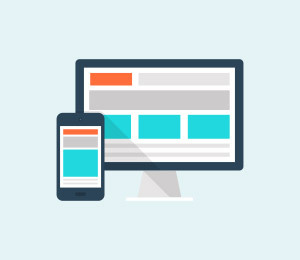 However, for a typical user, it shouldn’t take long and soon the download will be complete, as messages do not take up huge amounts of data unlike media like pictures and videos. Once you have exported the messages using the above method, now you can print these Facebook messages easily. But how? Yes, the Facebook messenger has no such option to print messages. 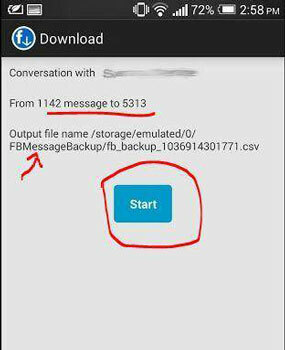 However, Message Backup for Facebook app gives us good option of files we downloaded. 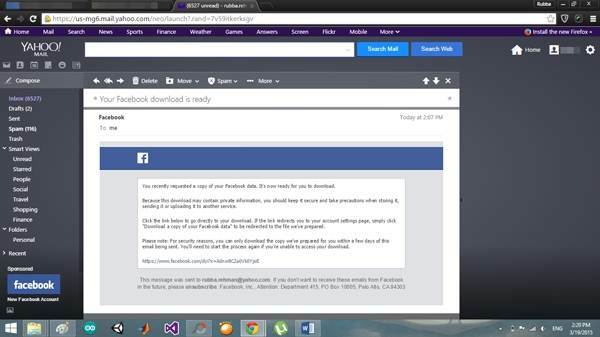 Following are the steps that show how to print Facebook messages that you have exported on Android. 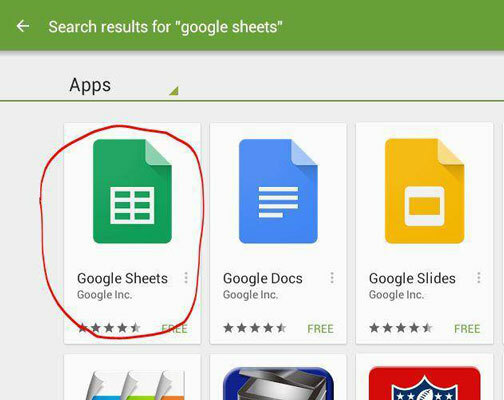 You need to download the Google Sheets app. It is free app from google and it is easy to install. Since the files we downloaded are in CSV format, they can be opened using Excel like software and Google Sheet is exactly that. 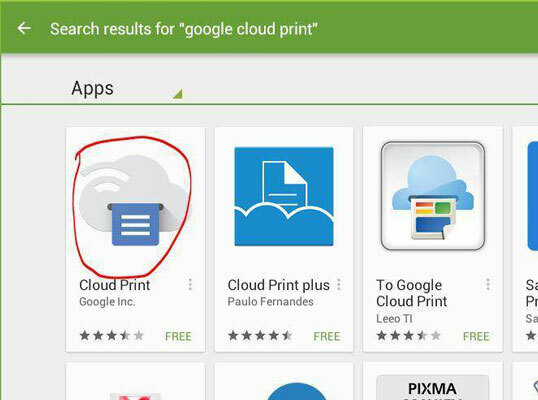 You will require another software on your Android called Google Cloud Print. 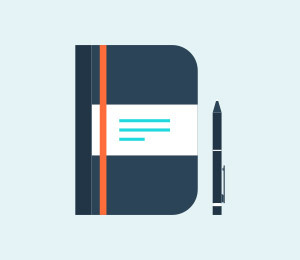 This plugin software allows the Android devices to connect with the printers. 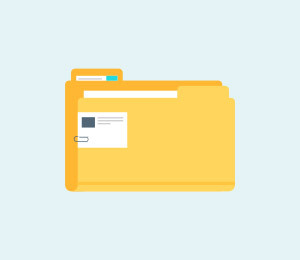 Once you have all the requirements, open the Google Sheets and find your exported files or just go to location of exported files and tap to open them. When the files open, they contain the message you seek. Just go to the Google Sheet menu, there you will find Print, just tap on that. 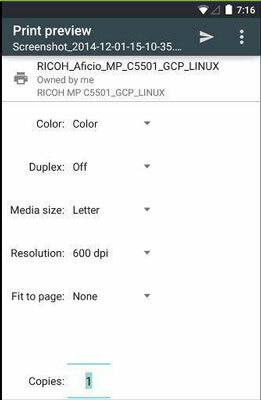 If you have not set the Setting of the Google Cloud Print, then it will as to select the printer. For more information, go through the Google Cloud Print instruction. 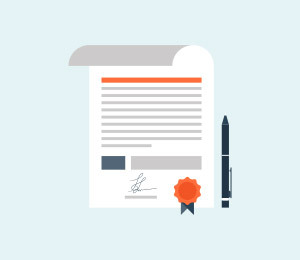 Your document will be printed soon, so just sit back and wait. Yes, you can also print out these CSV files by connecting you Android phone to your laptop. Use excel to open the sheets. In case you do not own a wireless printer to connect with Android devices, just transfer the files to any device connected to printer. Above mentioned methods on how to export and print Facebook messages are free and convenient, you can finish all the process just on your phone. But it is time consuming and complicated, because you need to download two apps to finish the whole process. 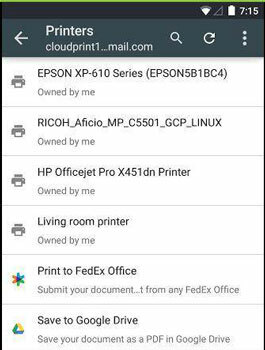 And since it requires use of Google Cloud Print just read its instructions and set you device for printing. Let us hope Facebook soon releases a new version of Facebook and Facebook Messenger app that supports the exporting and printing of the necessary messages and files from the profile. Login to your Facebook account by going to www.facebook.com and login using your valid Facebook username and password. Click the blue arrow at the top right of your profile and from the drop down menu, select "Settings". 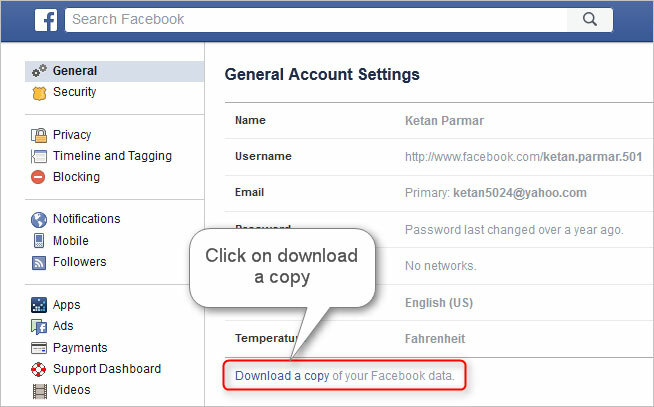 You'll notice a link saying "Download the copy of your Facebook data" at the bottom of settings. Click this link and a screen will open up. Click on "Start my Archive" to start downloading your Facebook data. 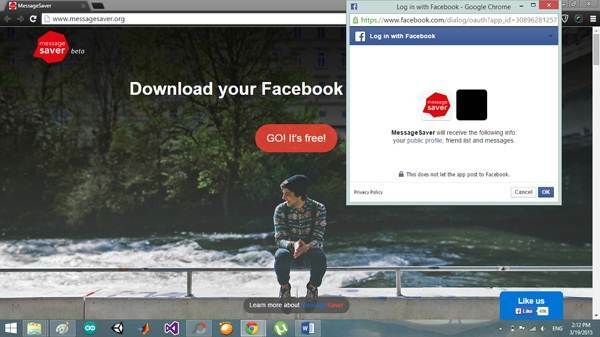 A pop up will appear asking you to enter your Facebook password for security purposes. Enter your password in the area provided and hit "Submit". Another pop up will appear. Click "Start my Archive". A message will be displayed saying you'll be notified by email when your data is ready for download. Click "OK". Login to your email account to which your Facebook profile is linked. 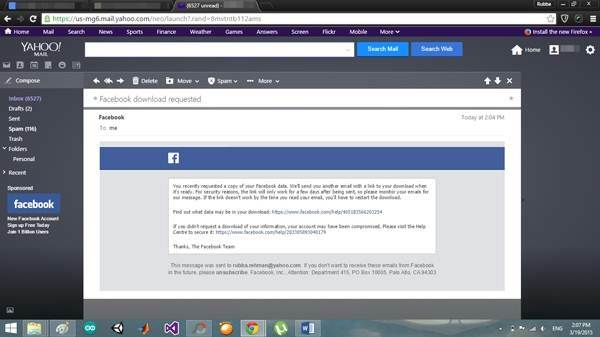 You would've received an email from Facebook confirming your data download request. Shortly, you will receive another email informing you that your download is ready. Click on the link provided in that email. The link will take you back to your Facebook profile. Click "Download My Archive" to download your Facebook data. You'll be asked to enter your password after entering which a download will begin. 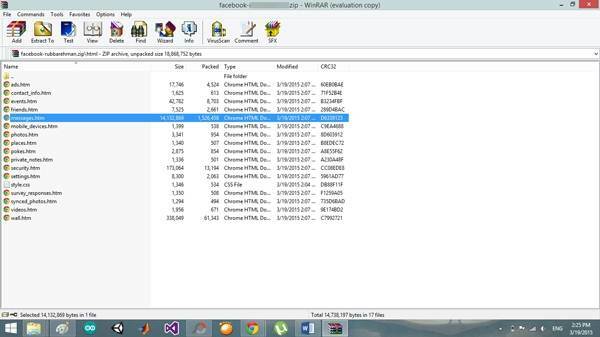 Locate the zip file in the Downloads folder and open it. You'll notice different folders in it. Locate and open the one named "html" and from the contents, select "messages.htm". 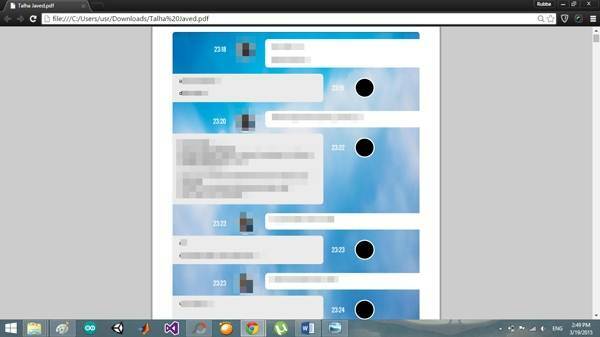 All your messages will be displayed in a window in your browser which you can print by holding down ctrl+p. 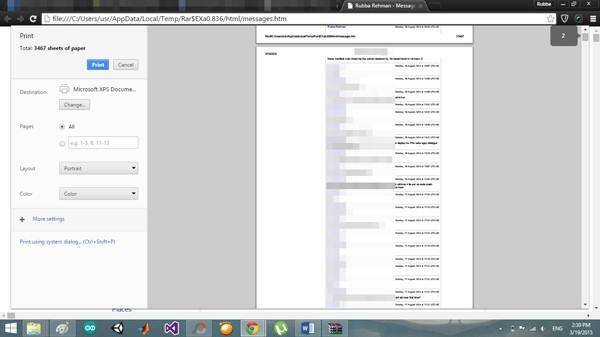 So, with the above method, you can easily save, export and print Facebook conversation on Facebook.com. It is convenient to save, export and print Facebook messages with this method, because you don't need to download an extra app or software. But you have to finish printing Facebook messages with more than 10 steps, it is not that easy and simple for us. Go to MessageSaver using your browser. On the home screen you'll notice a button saying "Go its free". 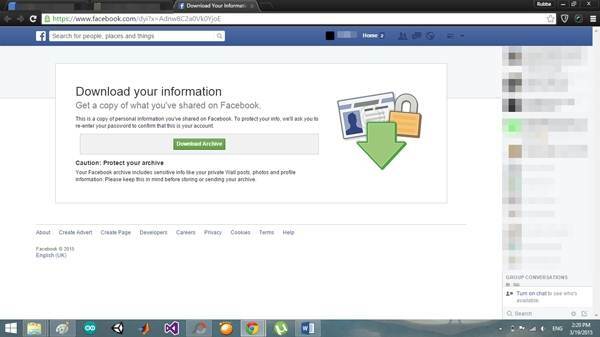 Click it and you'll be asked to login through Facebook. Hit Okay to begin. A screen will appear asking you to choose the conversation you want to download along with a list of all your conversations. 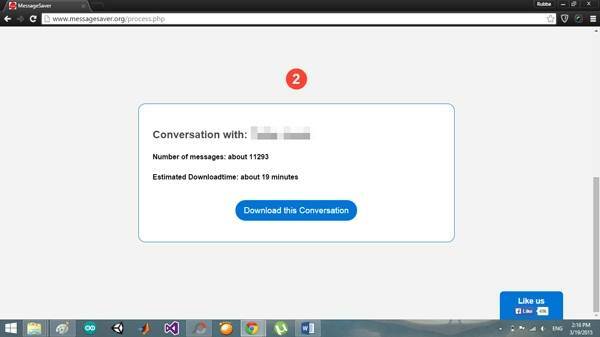 Select your desired conversation and another screen will appear with a summary of your download. Click "Download this Conversation" to start. 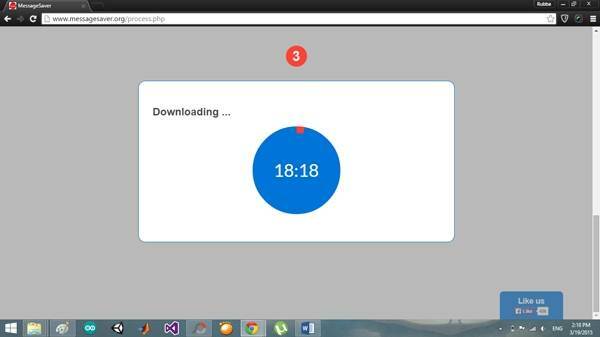 A timer will appear displaying the amount of time left for your download to finish. Upon the completion of the download you'll be presented with the options of formats in which you can save your data. Choose the one which is more convenient for you to use. The file will begin to download wait for it to complete and locate it in the Downloads folder. Upon opening the file you'll see that a little summary has been added to the page one showing when the conversation began, how many total messages are there in the conversation etc. After that all of your messages will be displayed from the very first to the last in order. Note that with Facebook's data downloading you get to download all of your conversations on a single go but along with all the wall posts, pictures and other stuff that you might have shared using your Facebook profile. However, with MessageSaver, you do not have to download the extra data and can easily get a PDF of your conversations but you can only download and save one conversation at a time i.e. you cannot download multiple conversations in a single go. To print Facebook's file data you have to make some adjustments to the font etc. to make it visible but with the MessageSaver file, it has already been done for you. But it is a little slowly to download all your Facebook messages. If you'd like to learn how to save Facebook messages or how to print Facebook messages, we believe that MessageSaver and dr.fone are both the great tools for you. 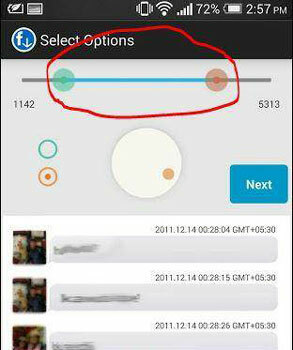 Especially, dr.fone allows your to preview and selectively export and print your Facebook in one click. It is very easy, flexible and fast. Delete Facebook messages on your Android device? 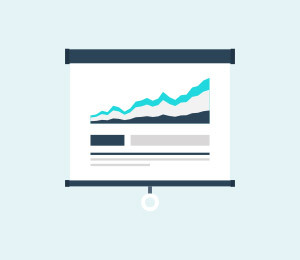 This article shows you a detailed guide to get it done easily.